GiO, USB audio interface from Apogee. 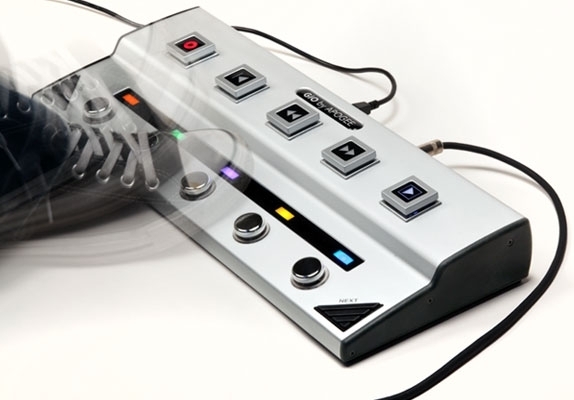 Apogee Electronics will present GiO, a guitar interface and foot controller for the Mac, at this year's MusikMesse in Frankfurt from March 24-27, 2010 at Booth: C80, Hall 5.1. Apogee GiO is designed to allow you to plug your guitar straight into your Mac. It gives you footpedal access to the presets, guitar amps and stomp effects in GarageBand, Logic, and MainStage. As a consequence it makes hands-free recording possible with a full range of transport controls. Everything you need to know about GiO is at www.apogeedigital.com/products/gio.php. Syntheway Updates Master Hammond B3 Syntheway has updated Master Hammond B3 to v2.2. [Musikmesse] SSL Soundscape V6 Soundscape V6 is a DAW that specialises in audio only recording, editing and mixing. [Musikmesse] Apogee ONE USB Mic Apogee ONE is a pocket-sized microphone and interface featuring a single channel of analog to digital conversion.